“Max Steel” movie begins casting extras and more specific casting calls coming soon. Anyone who is familiar with the Disney XD CG series “Max Steel” or the line of “Max Steel” Mattel toys will be happy to find out that Mattel is coming out with a live action version movie. 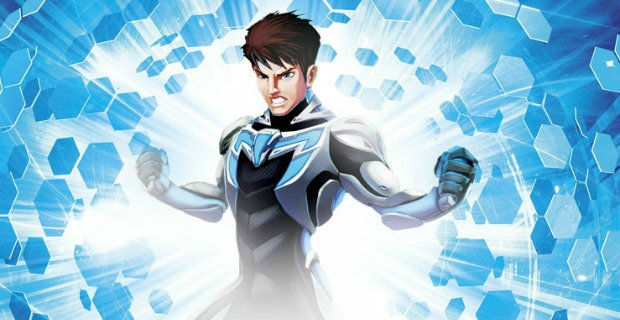 The “Max Steel” movie begins production this coming spring, actually, next month, in the Southeast. The sets are being built now and the production just set up their offices in Wilmington. In anticipation of filming, the extras casting directors have been announced and are taking submissions from those who would like to be extras on this huge project. The production is looking for tons of extras and lots of kids and teens that would like to be extras in “Max Steel”. The movie will be filming in North Carolina and currently they are interested in people who live in the area, especially kids and teens who are home schooled. “Max Steel” will be based on the line of action figures from Mattel which is about our superhero combo of Max and his alien sidekick Steel, who together form the superhero called “Max Steel” who has some serious super powers. casting calls for some small roles and background are coming soon but casting directors for the film have already announced the signup process for those who want a part. The extras casting directors for the project have been named and it happens to be Marty Sui, who is a veteran extras casting director in North Carolina. The “Max Steel” project is finally underway!. The sets are being built right now and the production has already setup offices in Wilmington. Production and filming will begin in mid April. Unlike the Disney XD version of “Max Steel“ which is a cartoon or CGI version. The film will be completely live action with with a full cast and a bit of a different story line. 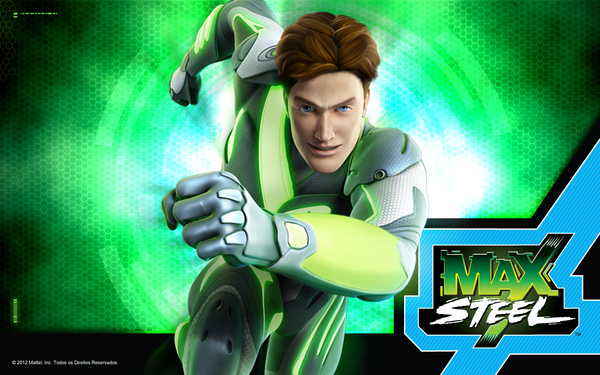 Out teen hero, Max McGareth, will be back with his turbo-energy powers and hopefully his buddy “Steel”. Variety reports that the stars of the feature will be Ben Winchell and Ana Villafañe. Before Disney created the “Max Steel” animated series, Mattel toys has an action figure of Max Steel which Disney based their show on. According to Extrasline, production of “Max Steel” will begin on April 22nd, 2014 in Wilmington, NC. The film is produced by Bill O’Dowd and Julia Pistor. Max Steel is written by Christopher Yost and directed by Stewart Hendler. The Disney XD “Max Steel” series is actually based on the line of Mattel toys form the 90’s. Max Steel is actually 16 year old Max McGrath. Max discovers that he has some weird powers that deal with energy. His gather, who was a scientist was killed in an accident and Max only has his mom left who is a bit unwilling to even talk about what happened to his dad. Max is trying to fit in, it yet another new school when he meets a little alien named Steel. Steel had been sent there to protect Max and when the 2 merge, they turn into “Max Steel”. The film will be produced by MATTEL, DOLPHIN and OPEN ROAD, according to Screenrant, however, it doesn’t seem like the film will get to theaters until 2015 since it is just beginning production now. Guess we shall have to wait and see. Want to be on “Max Steel” as a movie extra? You can register with Marty Sui Casting who will then keep you updated. Remember, They are only looking for extras who are local to the North Carolina area. They will most likely not consider anyone from out of town because travel expenses will not be paid and extras will only make about minimum wage which is not quite enough pay to travel to NC from anywhere too far away. The movie should have a 2015 release date and you can check out the teaser below. Open Casting Call for "Jurassic World"
Hi I’m Nova. I’m a 10 year old girl with dirty blond hair. I would love to be part of your movie. Contact me and tell me were the auditions are. Hey I am a 14 year old boy and I love to act. I have brown eyes and brown hair I am about 5’7 to about 5’8. I have been in a lot of plays at my school and a lot of plays at my church. I love watching shows and movies on Disney XD. When I watch shows and movies on this channel I feel like I am a part of it like I’m in the movie. Thank you and I hope you consider choosing me for Max Steel, I love that show. Hi I am Morgan, a very smart, active, 11 year old girl. I have long brown hair, brown eyes and I am a very athletic, energetic girl. I like to meet new people and learn new things. I hope that you pick me! I hope to hear from you soon. I am 9 years old and want to start early! But I am really excited for whatever comes my way! I am curentually in Fine Arts, aka drama club. I have taken 2 years of courss, as long as I could. I am a model, I currently live in Florida. I apologie, I left my photo. My last photo shoot did not have that well of a look, so I have to choose one I took. (My last shoot was on a too windy beach).